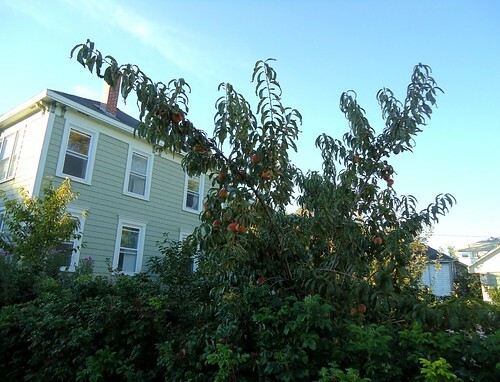 On Bradstreet: Peaches, Plums and Grapes, Oh My! 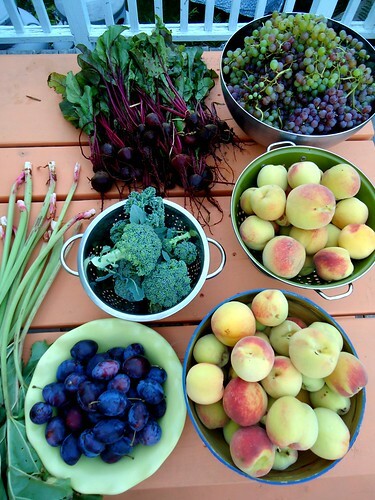 Peaches, Plums and Grapes, Oh My! 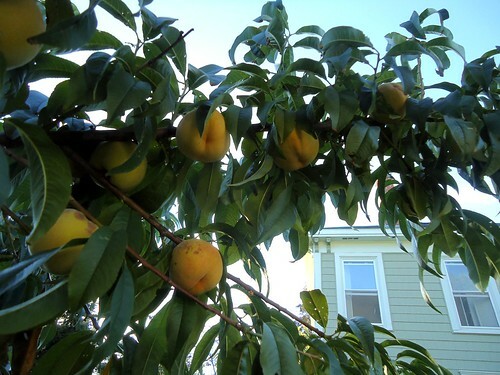 As our calendar began filling and summer came to an end, I never found the time to do a post about peaches. 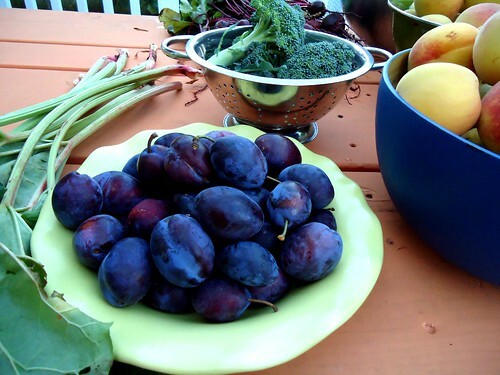 Or plums. Or grapes. It was a good year for all three and we benefited nicely from our trees and vines. 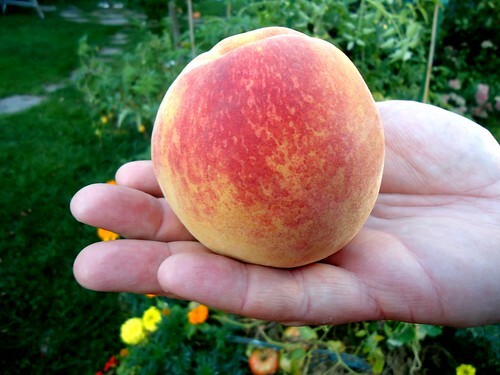 Check it out--that was a half-pound peach and we had many just like it! 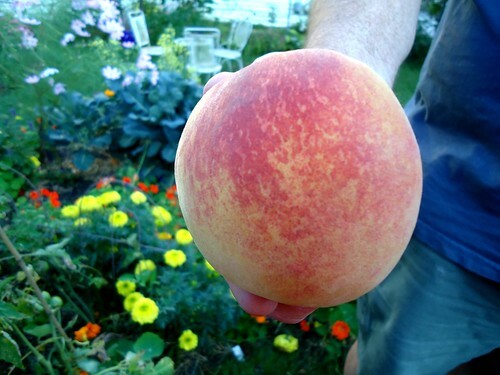 We ended up with seventeen pounds of peaches from our very young tree. Alex made twenty-four pints of jam with whatever was left after we ate some. 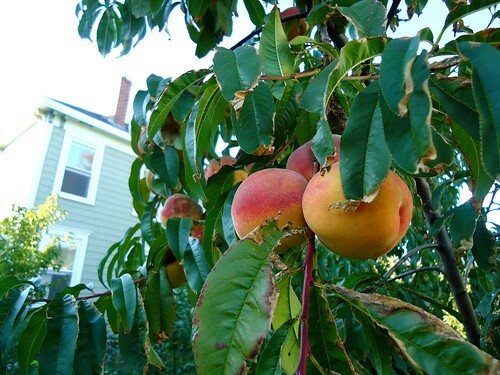 Yes, you can grow organic peaches in Maine. 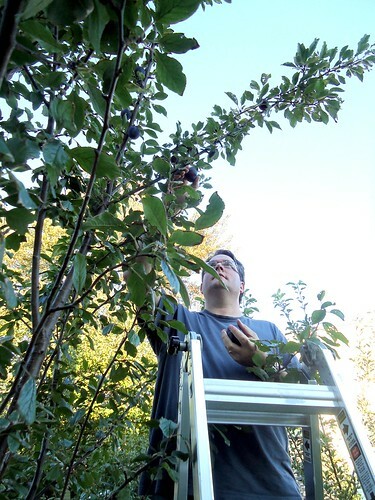 As for the plums, we had enough for a half-gallon of jam. 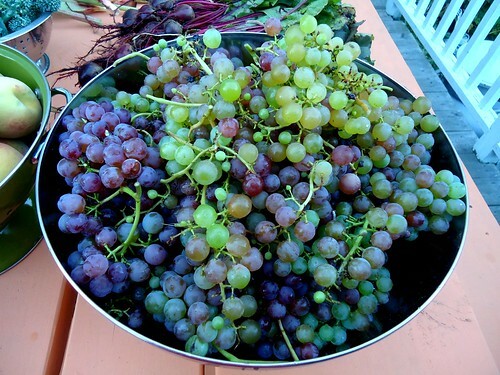 And the grapes gave us more than twenty pounds, or sixteen pints of grape jelly and we still have more to harvest. 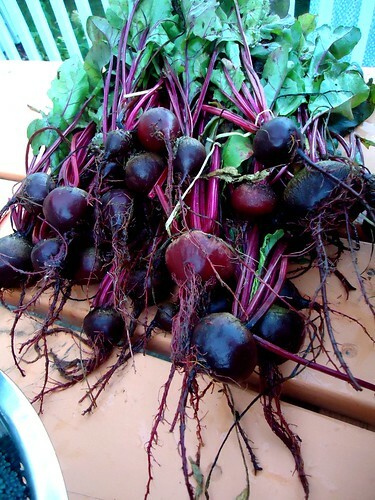 We also pulled the rest of the beets, cut some more broccoli and our neighbor gave us some rhubarb, too. Not bad for a small urban garden and one late afternoon harvest. 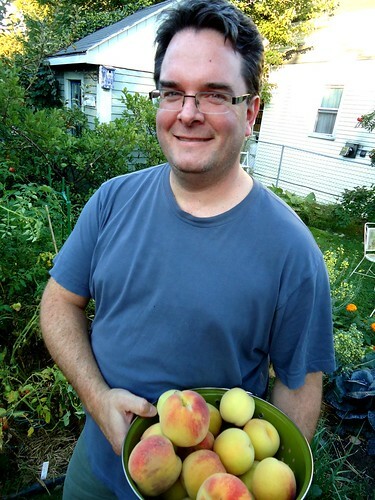 And oh, that peach jam on warm, fresh bread? 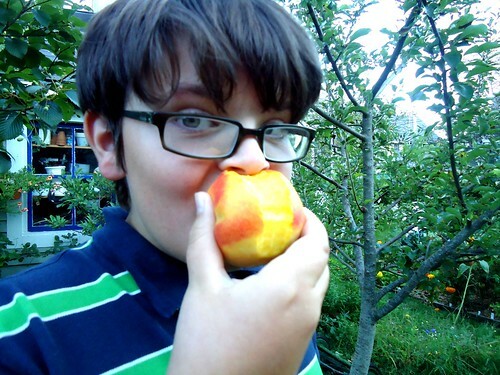 Scrumptious. Oh, wow! 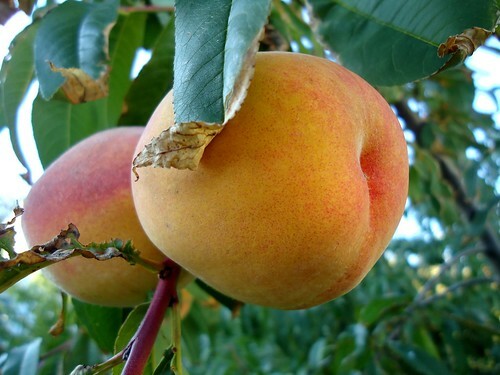 I'd love to grow peaches and plums! Do they do OK in partial shade? (Will need to research!) Looks yummy! 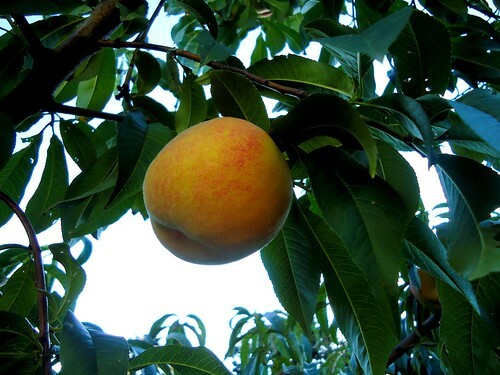 Oooh, now I'm experiencing peach tree envy.